Get behind the Mercedes insignia and enjoy the 500 bhp of the AMG Mercedes C-Coupé DTM. The C-Class won 84 out of 156 races, making it the most successful car in the history of DTM. With this car you're guaranteed your next victory - and the ultimate in unlimited thrills! The 1:43 scale Carrera GO!!! 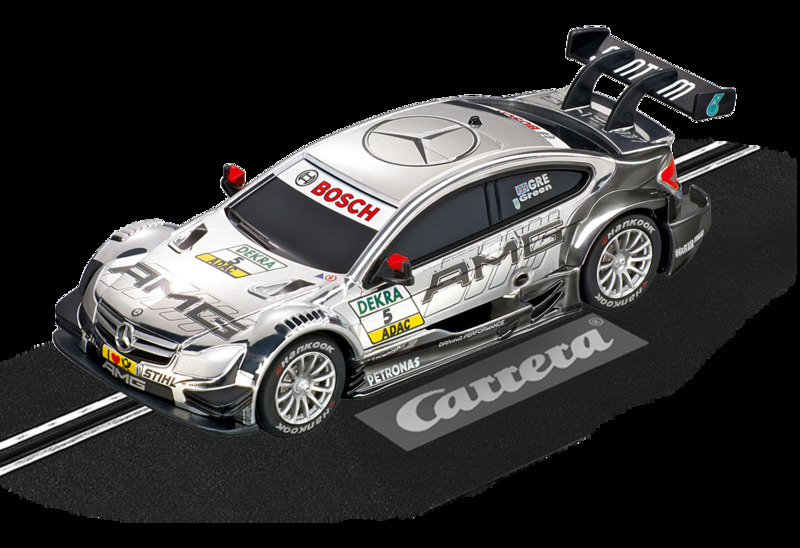 AMG Mercedes C-Coupé DTM No.5 slotcar wins new fans everywhere with top quality authentic details. The perfect introduction to the Carrera racing world for children of 6 years and up.